Are you overcoming the four objections to change? Many times these objections arise in this sequence, so it’s appropriate for us to prepare accordingly. Nevertheless, “No Comfort” will generally account for 40-60% of one’s objection to change, and it’s likely that the other three are merely screens. Therefore, we always need to keep this objection in mind even as we work through the others. With “No Good” we present the merits of the change or its cost-benefit analysis. “No Time” is really saying “No Priority,” thus we need to help the person readjust their priorities in order to work in the change. “No Training” requires us to provide the training and tools to adopt the change. All three apply to the “head” or a person’s cognitive functions (i.e. reason, logic, thought). This is what makes “No Comfort” challenging: it applies to the “heart” or intuitive functions (i.e. emotions, feelings, anxieties). People will do anything to avoid humiliation; thus, strengthening relationships is vital in helping people overcome their fears. We will need much patience to accomplish this. Since we are biased towards action, waiting for the right moment will challenge us. 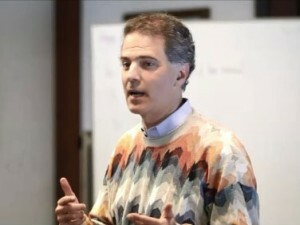 However, techniques such as management by walking around and teachable moments will help accelerate the process. Still, the point is this: no matter how rational our arguments, we need to appreciate the intensity behind the fear of humiliation. Otherwise, we will likely create stronger resistance. NO TIME: Again, not an option. Unless you accept being left behind, better reassess your priorities and/or methods and find some time!!! NO TRAINING: Every education MUST include learning how to learn effectively. It begins with CONSIDERATIONS (http://johncbennettjr.com ) and includes assessing / refining through prototyping and discussions. IF you missed this in your education, better catch up ASAP!!! 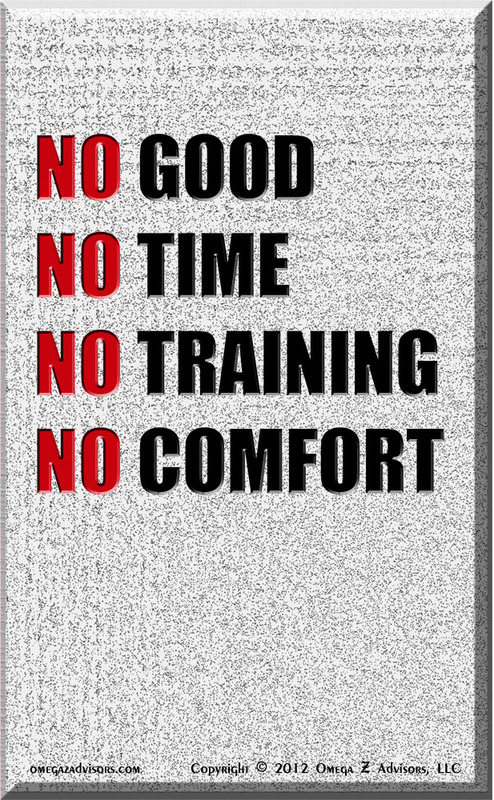 NO COMFORT: Change is NOT an option. Again, quoting Einstein: “You can’t solve the problems of today with the knowledge and skills with which they were created.” Whomever it is you need to work with, you had better make adjustments necessary to get more comfortable. Role up your sleeves and get to work!!! John, your points are well noted and popular. Change is neither good nor bad. It is. Just because a company makes no changes doesn’t mean changes are not occurring in or out of it. The question is whether we have any influence in the change. Still, plans to adapt to change are either good or bad. The real problem is that when a plan comes out questioning it is often stifled. Finding time isn’t just the employee. Managers and executives need to help reallocate priorities. The change is less likely to work if it’s simply piling more work on an already overworked, understaffed force. Yes, it’s amazing. We don’t really learn how to learn effectively. I’ve never experienced a company paying for training to do that. You’re right. Thank you especially for the link. I’m collecting research on memory for some future posts. I appreciate you thinking to include it. As for no comfort, there are many options with change ranging from inspired to compliant. How successful we are with our firms is dependent greatly on how we help people through this last stage. It’s often not black and white, change and no change. If you do come across a company that wants to help employees learn effectively, I can sure help – including discussing posts to my blog!!! I will do that, John. Thank you for sharing that with me about you. Again, thank you as well for your insights.